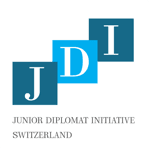 Junior Diplomat Initiative (JDI) Switzerland is a student-led organization at the Graduate Institute in Geneva. Our objective is to create a sustainable, high-quality platform where students can apply their academic experience and engage on the front lines of diplomacy while building lasting connections in the diplomatic community. We aim to bridge the gap between diplomacy in theory and diplomacy in practice through interactive events and conferences.